The aims of this ISSI-BJ FORUM are to discuss the problems of low frequency radio observation, which is hampered on the ground by the ionosphere and man-made radio frequency interferences, and so far our knowledge about the sky in this part of the electromagnetic spectrum is very limited. The scientific problems related to this include e.g., the cosmic dark age and dawn, the Sun, planets and exoplanets, interstellar medium (ISM), galactic structure, radio galaxies, quasars, clusters and intergalactic medium (IGM). The Chinese Academy of Sciences (CAS) in collaboration with domestic and international partners, is preparing to carry out a few pilot experiments during the Chang'e-4 (CE-4) lunar mission to be launched this year (2018), and is carrying out intensive studies for a possible future lunar orbit array mission. 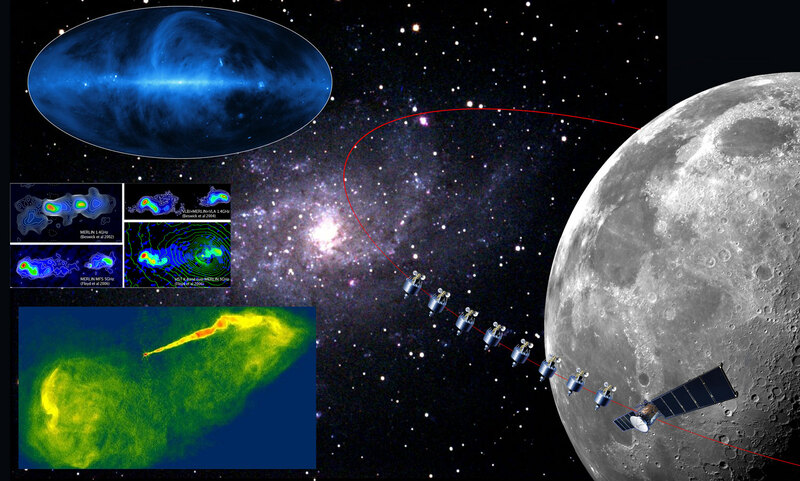 The lunar orbit array is made up of satellites flying in linear formation on the same orbit, which make both interferometric and single unit observations of the sky on the part of orbit where the Earth is shielded from the view by the Moon. During this FORUM the participants will discuss the various science problems related to the low frequency radio, such as the signature of cosmic dark age and dawn, the solar system, galactic and extragalactic sources, the propagation effects, and data analysis methods.